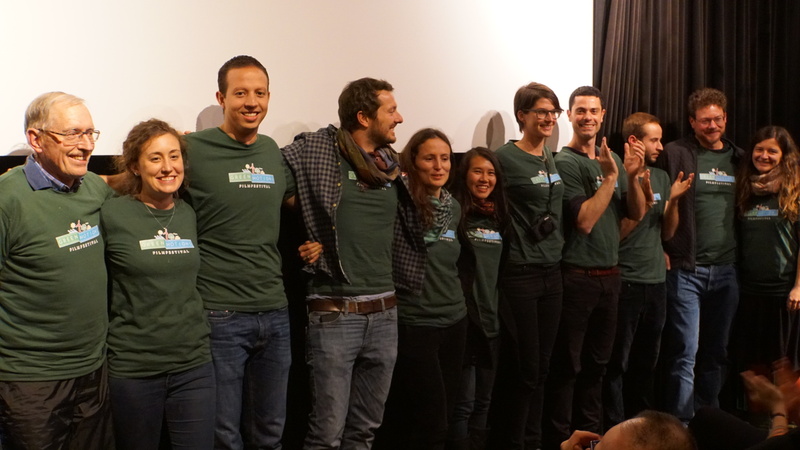 Inspiring film screenings, workshops, video calls, personal discussions with the filmmakers, free pumpkin, exciting bicycle cinemas and a bicycle disco; all this was the fourth edition of the Greenmotions Filmfestival at the kommunales Kino! Thank you to all the volunteers, our sponsors, partners and all that participated in making this year’s wonderful festival possible. The most memorable impressions and scenes were captured by Thomas Scheibler through his short film clip about the festival. Prior to the festival week we organized several bicycle cinemas for the students of the Wentzinger and Goethe high schools. 282 boys and girls watched pre-selected short films and chose „Save Me!“ by Mohsen Nabavi as their winner. 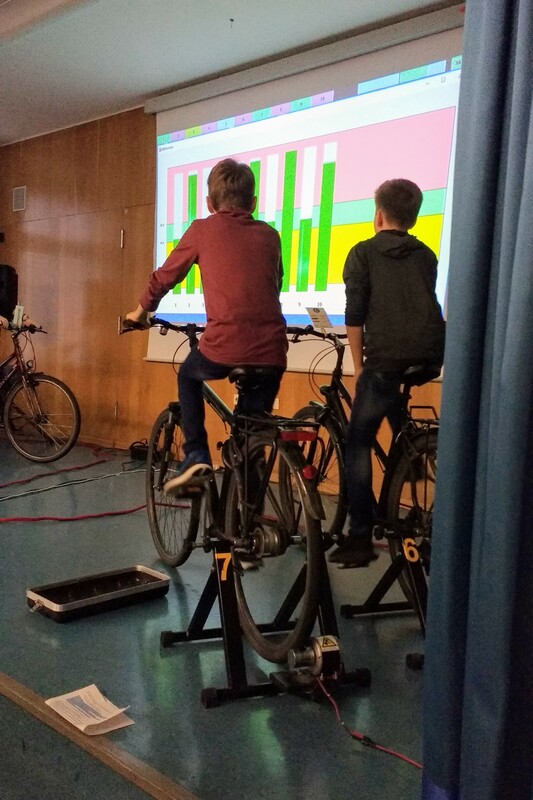 The electricity required for the projector was produced by the students themselves with the help of 10 bicycles and the self-designed bicycle cinema by Solare Zukunft e.V. On the 9th of November the festival’s opening at Freiburg’s kommunales Kino was the French film „What are we waiting for?” by Marie-Monique Robin. Her piece revolves around the succesfully implemented sustainable development in ‘Ungersheim im Elsass’ and was very well received by the audience. The film received the audience award Sunday night during the award ceremony. All the guests attending the festival could take edible pumpkins with them back home. 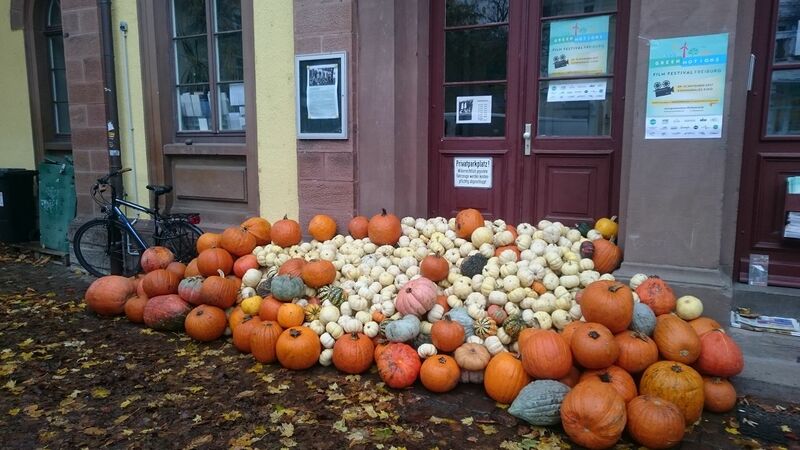 The pumpkins were used at the Europapark as decoration and were picked up by the Greenmotions team next to the garbage in order to offer them to our guests and save the pumpkins. 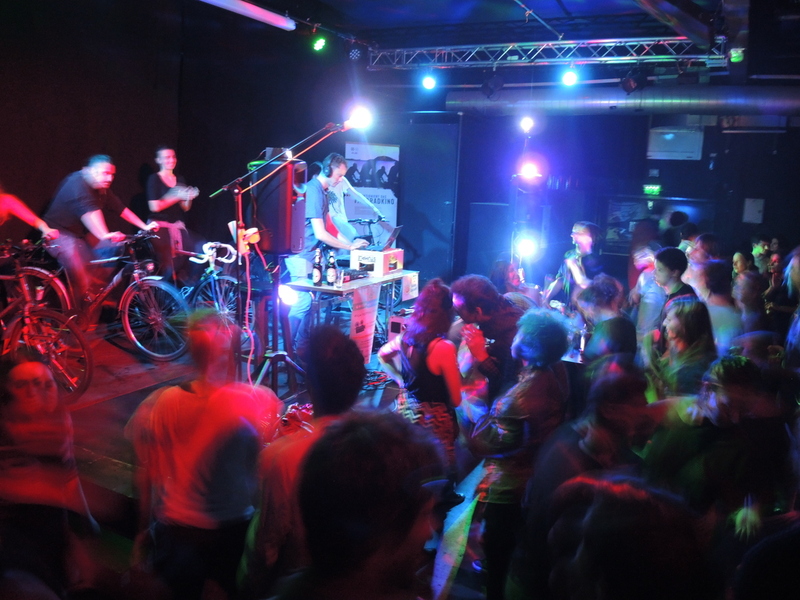 This year we celebrated our special bicycle disco for the first time at Freizeichen: A bicycle disco is all about motion. The party guests use their muscles to produce the required electricity for the sound system and the equiments of DJ Funthomas and DJ Bonn. Saturday evening the director Jörg Seibold led a discussion with the audience after the screening of his own film “GREED – ein verhängnisvolles Verlangen” . Subsequent to White Waves the audience was able to skype with filmmaker Inka Reichert. Producer Larissa Rhodes also showed up on the big screen after presenting Chasing Coral . Incredible discussions! 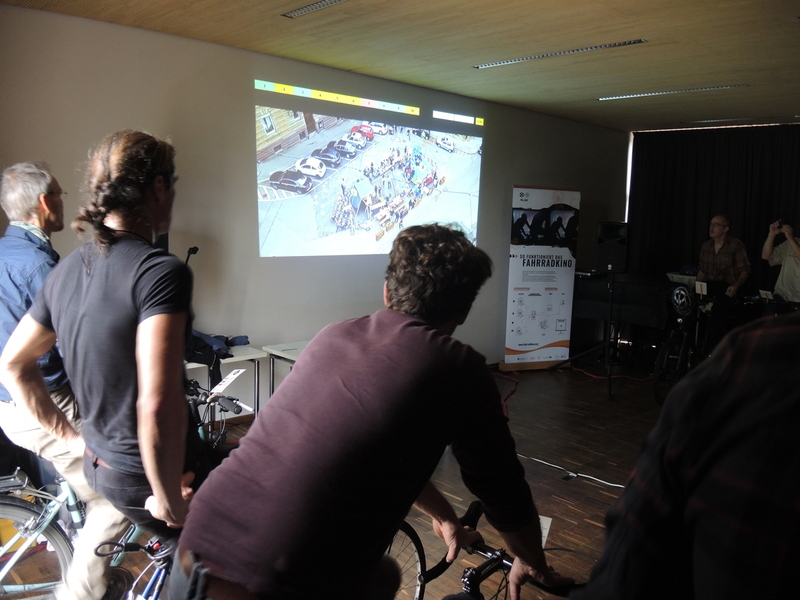 On Sunday morning three movies related to the topic “Sustainable Mobility” were screened at Waldhaus. Filmmakers Sigrid Faltin and five protagonists from the film “Freiburger Räder” attended the screening. Awarded with the special prize to this topic was the film “Kesselrollen – Wie rollt die Stadt von morgen?” by Roman Högerle and Felix Länge. 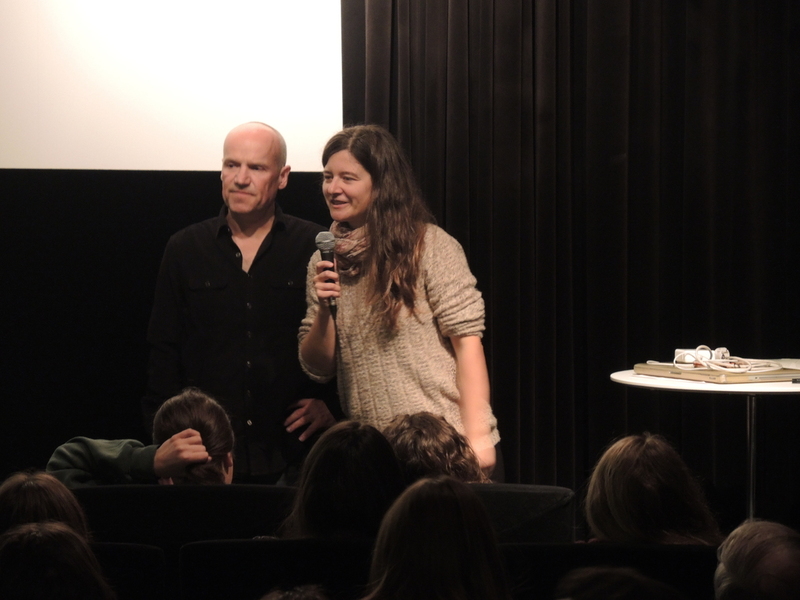 In the evening filmmakers Bodo Kaiser and Julia Dordel discussed questions with the audience after the screening of their films “Sehnsucht nach Eden” and “Intelligente Bäume”. The screening of Dordel’s film “Intelligente Bäume” was the most visited film of the entire weekend. At the end of the event a small jury of experts crowned the four winners of the international short film competition. The award ceremony started with presenting the 6 nominated short films to the audience followed by the presence and speeches of filmmakers Teresa Setzer, Alvaro Llagunes and Ignat Kachan. More information about the winners can be found here. All filmmakers and guests were invited to celebratory drinks at the ‘Galerie’ to finish off and celebrate an incredible weekend. Greenmotions on the run for the participatory budget of the City of Freiburg! The audience award’s winner „Worauf warten wir noch?“on November 9th at Kommunales Kino!